Going on a day trip and chatting to people who are passionate about the same things as you is a great way to mix it up, and ward off square eyes and bad posture. Using this sound advice from your nan to justify it to your boss however (even if that boss is yourself), can be troublesome. Well Magento Live UK is a mere week away and here’s why this day trip is going to be one easy sell. If you have anything to do with the wonderful world of online retail, or tech in general, Magento will already be a fairly familiar, and probably fairly beloved, word. But, with so many businesses using Magento, it’s vital – in the competitive world of ecommerce – to ensure that you’re making the most of your solution. 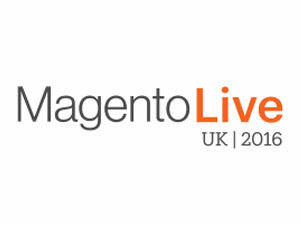 Magento Live UK is one of the biggest and most renowned Magento exhibitions in the world, and is kicking off in our fair capital on Tuesday June 21st. It’s an all-dayer (and all-nighter if you prefer networking in a more informal setting too), but with panel discussions, interactive breakout sessions and the opportunity to learn about all things Magento, you’d pretty much be mad to miss it. There’s also handy business things like a ‘networking’ lunch (don’t be daunted by the term, it’s basically just an opportunity to meet other like-minded Magento enthusiasts who probably all feel as awkward as each other about wearing a name tag and being forced to talk to strangers), seminars on strategies for delivering high-quality Magento implementation, knowledge-sharing opportunities, top tips for optimising design on your website and loads more. We’re really excited to be gold sponsor of the event again this year because we understand the importance of speed and the role it plays in winning new business, so you’ll get a chance to come and say hi to us too! Our Magento experts will be on hand to announce our latest hosting packages and exclusive offers tailored to optimise Magento performance and accelerate business growth. Visit our stand to find out more about our unique Magento Optimised Stack and how UKFast can accelerate your business.